The CEO-HEALTH program is exclusively implemented in three world-class facilities in Bangkok, Thailand, under the coordination of CEO-HEALTH medical team. Why and when should I get a medical check-up? Medical check-ups are aimed at detecting early disease processes. The earlier the detection, the higher the likelihood of a favorable treatment outcome. Modern medical check-ups are also aimed at preventing diseases. There are many factors, such as family or personal medical history, which may be considered for determining the frequency of the medical check-up. In practice, medical check-ups are recommended on an annual basis. What are the age limits to get the CEO-HEALTH check-up program? There is no specific age limit. The person needs to be physically able to travel to the destination hospitals. CEO-HEALTH doctors only decide not to accept a person if his / her condition is not suited for the program. 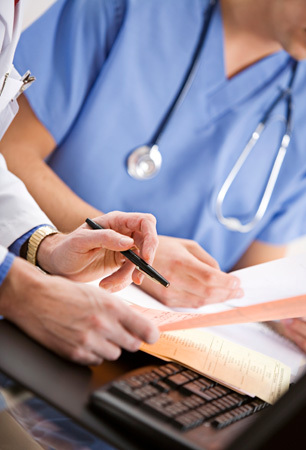 What are the main advantages of CEO-HEALTH medical check-up? It offers 5 main advantages: 1) customized program involving at least 6 specialists, who are selected to answer each person’s medical need, 2) possibility of a second review by European experts, 3) utmost convenience and privacy with a private nurse, 4) follow up with 5-year health master plan and life coaching, 5) high value for money. Are all these tests needed? All consultations, tests and investigations included in the program are in line with the international guidelines of medical associations for detection and prevention of diseases. Based on your own specific medical and family background, only tests needed are indeed included in your individually tailored program. Do some tests carry some risks? Yes, some tests and investigations do carry risks. While some are totally harmless like echography of carotid arteries, others such as an exercise stress test may lead to potentially serious complications, including heart attack or even sudden death. However, it is worth highlighting that, as recommended in medical guidelines, the benefit of carrying out these tests far outweighs its potential risks. Moreover, the final decision to carry out each and every test is made at the time of the procedure by qualified specialists working in modern medical facilities. Do I need to sign a disclaimer form? Yes, like any individual receiving a medical procedure in the hospital, you will be required to carefully read and sign the hospital disclaimer form. You also will have to carefully read and sign the CEO-HEALTH disclaimer. 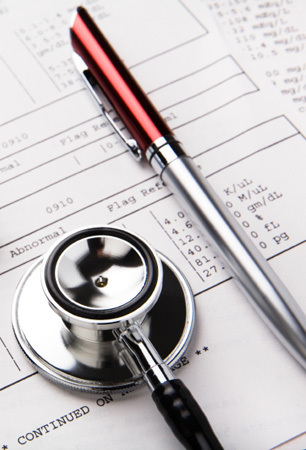 Should I bring my previous medical check-up reports with me? Yes, it is definitely useful, not only on the day of the check-up, but also when you prepare your pre-screening questionnaire. You may send us by email or fax, the report of some tests, which would be taken into consideration to individualize your program. Can I avoid filling out the pre-screening questionnaire? No, simply because the CEO-HEALTH program is based on an “individualized tailor-made” approach, made possible through the thorough assessment of the personal and family medical background recorded in the questionnaire. I found that I had done some tests a few months before the check-up date. Can I avoid repeating such tests? Yes, in this case, please indicate which tests you did before and when. Please also bring the test report(s) with you. Can I get a discount from this? If some tests, which were supposed to be performed, are removed, the cost is also removed. Can I have the procedure done on one single day? Yes, it is feasible, but the procedure may in fact last longer than the prearranged 2 half-days. The reasons to schedule on 2 consecutive mornings are the following: 1) convenience, most CEOs prefer 2 half-days than one whole day, 8-hour long procedure, and 2) adaptability of the program: in case some abnormal results are found, some additional investigations could conveniently be set the following day. Can I choose any hotel during my stay in Bangkok? Yes, you can choose any hotel in Bangkok. In such a case, you just need to arrange your own transportation to go to the hospital. How can I benefit from this unique package? Can I have my check-up at the same time with my spouse? CEO-HEALTH has developed medical check-ups and health enhancement programs for both genders. Your spouse could also benefit from one of the most advanced medical check-ups available today. Moreover, as a couple, it is particularly interesting to have the subsequent wellness period: lifestyle recommendations need to involve the couple and the package’s value for money is even more attractive. How long does the medical check-up procedure last? For most individuals, the whole process is completed in 2 subsequent half-days, from 8:30 to 13:00. However, as CEO-HEALTH program is individually tailored, a longer period (from 7:30 or till 15:00) may be needed. Can I have a CEO-HEALTH check-up without a health retreat? Yes, you can have your CEO-HEALTH check-up without having a health retreat. Can I pay the CEO-HEALTH check-up together with the health retreat? The payment of CEO-HEALTH check-up is independent from the resort’s payment. You need to settle two amounts, one for the check-up with CEO-HEALTH, one for the health retreat with the hotel or resort. Can I choose another wellness resort other than the ones you propose? Yes, you can choose any wellness resort and decide to have a CEO-HEALTH medical check-up at your preferred schedule. However, CEO-HEALTH has partnered with two award-winning resorts/Spa to implement a coordinated health enhancement program. The interest of this partnership lies in the fact that some recommendations from the outcome of the medical check-up can be implemented during this period. Obviously, such a level of collaboration cannot be implemented with any resort/Spa. As such, CEO-HEALTH does not arrange the wellness period outside the two-selected exclusive establishments. Can I modify the duration of the urban health retreat at The Mandarin Oriental, Bangkok? 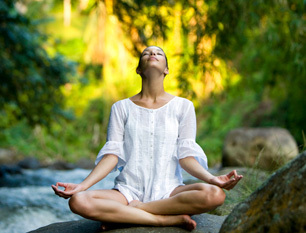 Yes, you can modify the duration of the Wellness Retreat Relaxation period. What is the minimum duration of Chiva-Som stay? Kindly email to medical.department@ceo-health.com any question you may have.